Enjoy learning to prepare lots of recipes you’d eat at a Country Fair, on the Boardwalk, around the Campfire, and on our nation’s birthday! 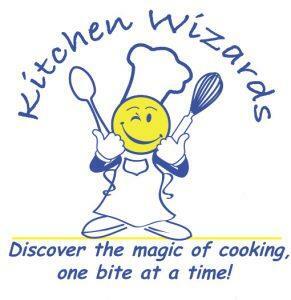 Kitchen Wizards will take your children on a virtual tour, as together, we explore what kids eat for dessert in other countries. If you’d like your children to incorporate more Fruits & Veggies into their daily food habits, this camp may just do the trick! We’ll make only fruit and vegetable recipes and even the pickiest kids will be surprised at how good healthy food can be! We'll travel to other countries without leaving the kitchen. We’ll explore cuisines from Spain, Poland, Greece, and the Good Old USA! Children will spend the week making everything chocolate - cupcakes, candies, cookies, and many other desserts where chocolate is the main ingredient. Lots of samples to bring home and share with the family. There are lots of holidays in the Fall and Winter. We’ll focus on foods for Thanksgiving, Christmas, New Year’s Eve/Day, and Valentine’s Day! *A $60 materials fee is due to the instructor at the beginning of the camp.